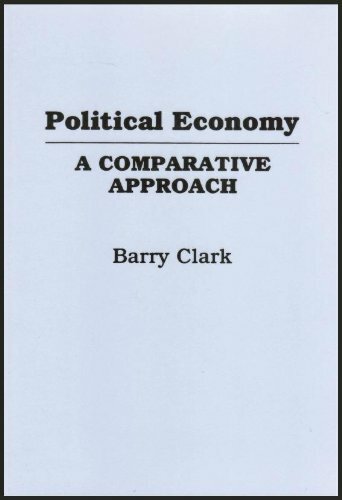 and normative approaches to understanding society.Recognizing the absence of any consensus about the meaning of political economy, Clark begins his work with a two-chapter introduction to the alternative meanings and historical evolution of political economy. The next four chapters present detailed analyses of the thinkers and perspectives that make up four comparative approaches: Classical Liberal, Radical, Conservative, and Modern Liberal. The final nine chapters cover major issues in modern political economy, and for each issue the analysis and policies offered by each of the four ideologies are considered. Among the topics addressed are the role of government, business cycles, poverty, labor relations, discrimination, gender, the environment, and international development. This work is designed as a textbook for a semester-long course in Political Economy, History of Economic Thought, or Political Theory, and will also be a valuable supplemental resource for economics and political science courses. Public and academic libraries will find it to be a valuable addition to their collections.